After two years in development eBattalion is finally showing off the first ever preview of Big Head Gunner! 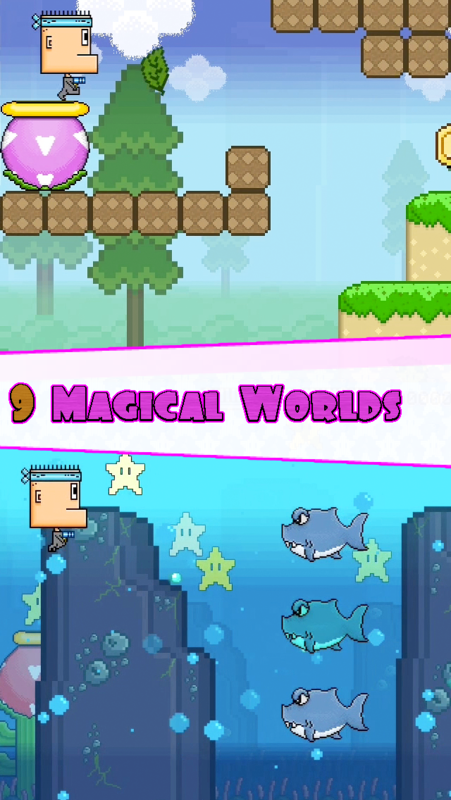 The game is a platformer set to break new ground in touchscreen game controls. Gunner, also known as Big Head Gunner, is the hero of the Acorn Kingdom. After hearing that the evil King Chameleon kidnapped the prince, Gunner bravely set out on a rescue mission. 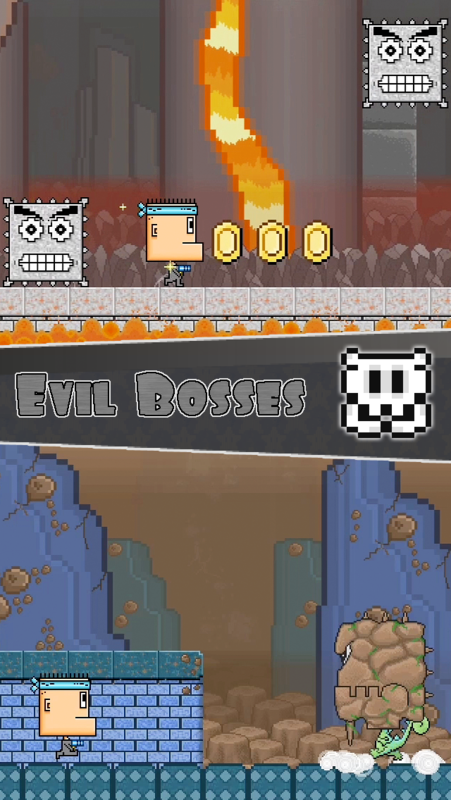 Big Head Gunner is a modern iOS game but also a totally retro 2D platformer. It brings the complex and accurate control systems of games like Super Mario Brothers to touchscreen, without the use of an onscreen controller. 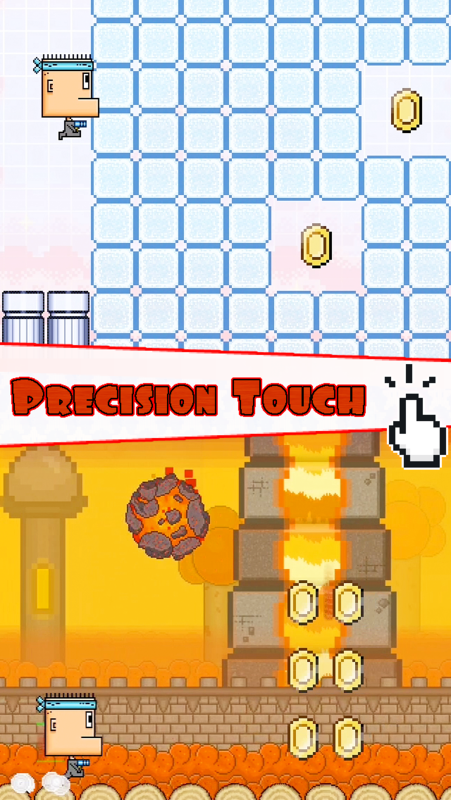 This has never been done before on pure touch, and the result is an amazingly playable platformer! 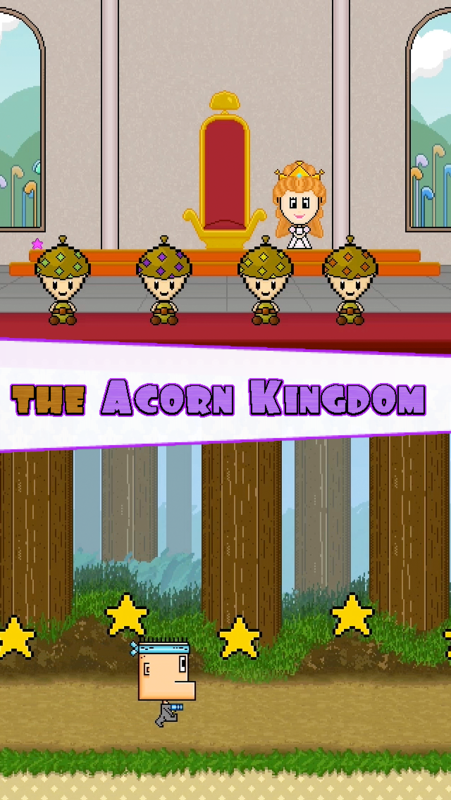 Save the Acorn Kingdom from King Chameleon and rescue Prince Akoki. Over 50 hours of gameplay guaranteed! Big Head Gunner will be officially released in late November for all iOS devices, including iPad, iPhone, and iPod Touch. If you are a journalist or beta tester and would like gain access to a prerelease version of Big Head Gunner please contact eBattalion via the following link. Big Head Gunner, Acorn Kingdom, and Precision Touch are trademarks of eBattalion. 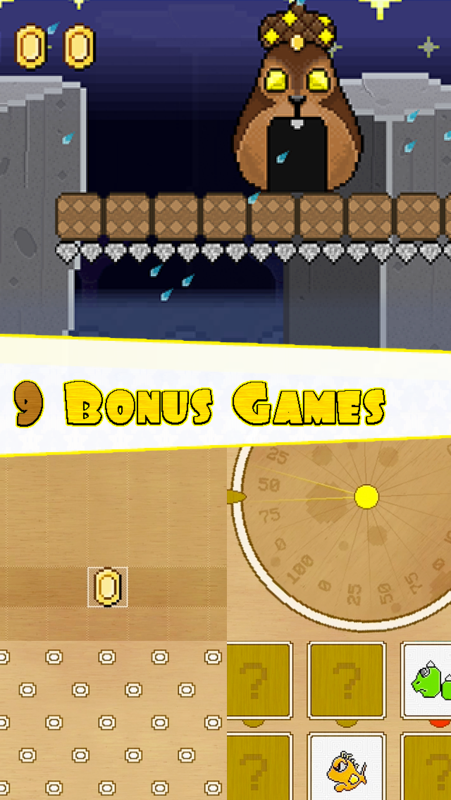 eBattalion creates unique and popular games for mobile devices, including iPhone, iPod Touch, and iPad. Our mission is to continuously advance game mechanics that mobile game players embrace, thereby repeatedly releasing the most creative and imaginative software on the market. Search for eBattalion branded games on iTunes or the App Store via your iPhone, iPod Touch, or iPad.